Just like morphology or physiology, an organism’s behavioral patterns are influenced by its genetics and can therefore evolve. Consider for example how selective breeding has led to behaviorally specialized breeds of dogs (e.g. hunting, herding, or guarding). 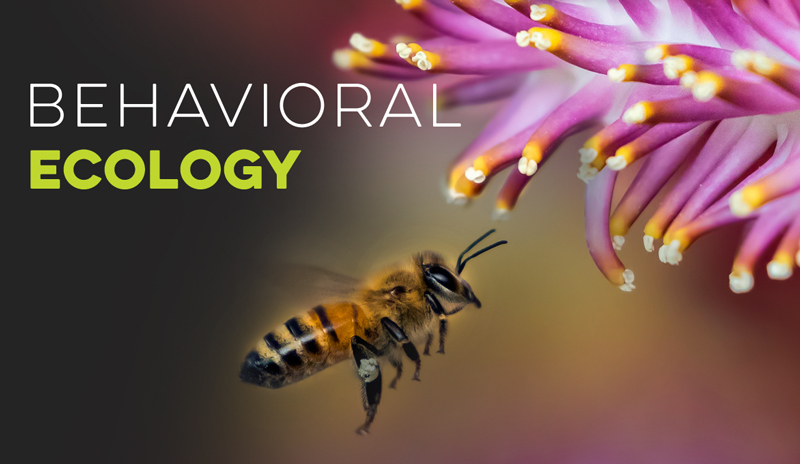 The study of how behaviors are shaped by selection is the field of behavioral ecology. This discipline typically explores how various behaviors affect the relative fitness of individuals in a population. In other words, it asks “why does this behavior exist?” In this section, there are models that examine how various behaviors affect such things as foraging success and survival. 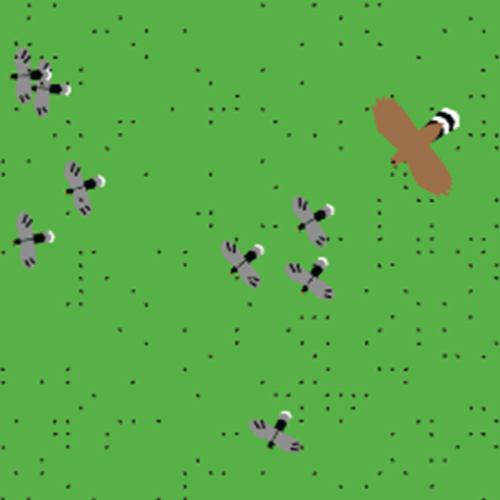 This model simulates foraging behavior of honeybees. It is designed to illustrate Charnov’s (1976) Marginal Value Theorem, which predicts how long an animal should forage in a given patch. 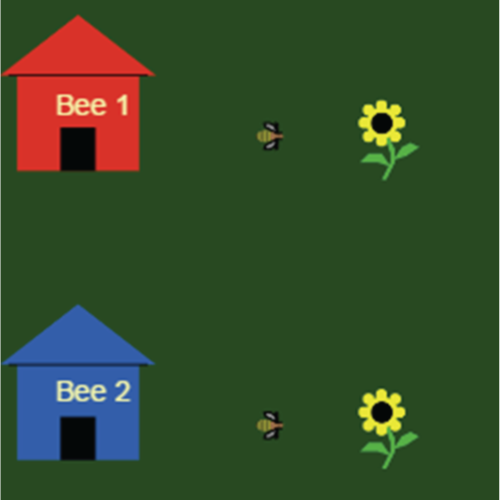 The user can modify environmental conditions and the time-per-flower for two different bees. The model reports total nectar collected and the rate of nectar collection. Many animals are at risk of being eaten by other animals. Such an animal must balance food intake with predation risk. These models simulate Pulliam’s (1973) vigilance model, which suggests that feeding in flocks is advantageous. Collective – Foraging juncos can be attacked by a Cooper’s Hawk. Foraging rate and duration can be adjusted. Individual- This models adds the capability of adjusting and individual bird’s behavior relative to the rest of the flock. 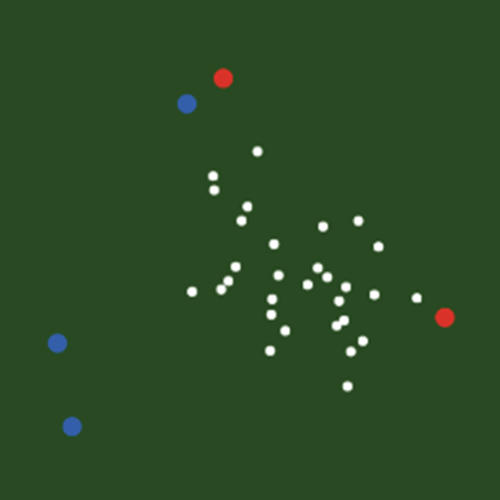 As the name suggests, this model simulates the foraging behavior of two predator species. Predators forage and gain energy from prey while using energy to move. The model tracks the mean and standard deviation in energy for each species. Prey can be clumped, uniformly or randomly distributed, static, slow, or fast moving. Each predator can have two foraging strategies based on energy levels. Their foraging parameters include: movement likelihood, speed, and directional shifts. The predator’s threshold for shifting strategies is also adjustable.